There have been two recent incidents involving solo kayakers launching at Altona. On 26 June, a Japanese national fisherman disappeared after entering the water at an Altona boat ramp. A search was not initiated until the next day. The weather was relatively calm for the first two days that he was missing. The kayak was found on 30 June in Port Phillip Bay. The man has not been found. It is not known if he was wearing a lifejacket. On 12 August, a man set off from Altona before being caught off guard by off-shore winds and capsizing. He was wearing a lifejacket but was unable to reboard his kayak. After four hours in the water clinging to his vessel, a beachgoer heard his yells for help near Williamstown and raised the alarm. Some waters in Victoria – Altona in particular – can appear calm when entering the water but are dangerous when further from shore. Offshore winds can be deceptive in strength and can build or change suddenly over time. 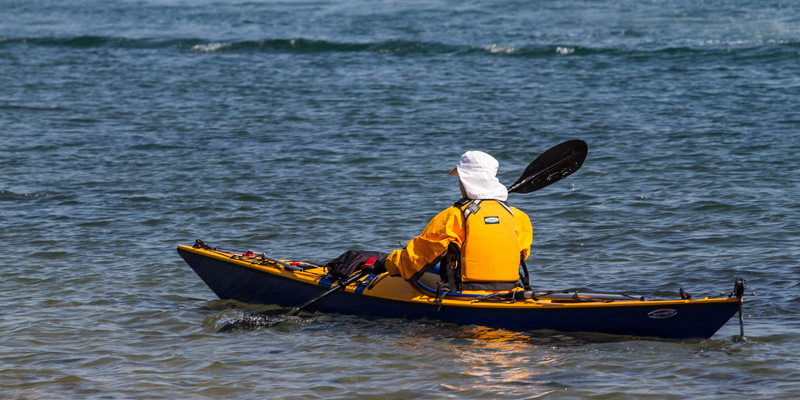 This Maritime Safety Victoria (MSV) Safety Alert is to make paddlers aware of the risks of paddling alone, and advise paddlers on how to make safer choices and be better prepared. Paddlers are legally required to wear a lifejacket. Emergency position indicating radio beacons (EPIRBs) are required if going more than 2nm offshore in coastal waters, but it is advisable that all paddlers carry a means of raising the alarm. Water temperatures in Victoria are currently around 12 degrees, causing cold shock within minutes and possible hypothermia within one hour of falling in. In offshore winds, sea conditions deteriorate the further you are from the shore. Strong offshore wind may prevent you from being able to paddle back to the shore. When paddling alone you are vulnerable to the environment around you. If no one is with you and no one knows your plans, you greatly reduce your chance of rescue. Check the forecast: warnings, weather conditions, wind, waves and tide times. Don't paddle in offshore winds. Practise self-rescue. If you can't self-rescue in the conditions, don't go out. Know the limitations of your ability, craft and equipment. Ensure you and your vessel are suitable for conditions and your planned activity. Choose a suitable location for your activity and understand how conditions impact on the safety there - seek local knowledge if you are unfamiliar with the location. Prepare for the worst. Fatigue and changing conditions may prevent you from returning to shore or getting back on your craft. Be able to call for help: a phone in a waterproof pouch, VHF radio, EPIRB or personal locator beacon (PLB). Tell someone where you are going and when you will be returning, so that they can raise the alarm if needed. Consider a tracking app that provides an alert if you do not return on time. See our Paddle Safe, Paddle Smart page for more tips.